There was a time, before Dragon Con, when every convention focused on its one genre. Gaming conventions were for gamers, literature shows were for readers, and comic book shows were retail events. The established conventions were successful, and the organizers stuck to their formulas. But most fans had multiple interests. It was certainly true for Dragon Con’s founders. They were all science fiction fans, but some of them also enjoyed gaming while others liked comic books. They could go to any convention and have a good time, but only for so long before boredom set in. And that gave them an idea: Combine fandoms and genres into a single convention for fans who, like them, were interested in different things. In the early going, that meant bringing a science fiction convention and gaming convention together in the same hotel. While it doesn’t seem so radical today, it was audacious for its time and, eventually, it upended the staid convention scene. Chipping in $300 each, Pat Henry, David Cody, John Bunnell and Robert Dennis rounded out with a few of their friends planned the first Dragon Con for the fall of 1987. With no track record to lean on, they nevertheless managed to attract top name guests. Some 1,200 fans turned out to meet science fiction luminaries Michael Moorcock and Robert Asprin and gaming royalty Richard Garriott and Gary Gygax. Moorcock and his longtime friend Eric Bloom, lead singer for Blue Oyster Cult, jammed on stage. The Atlanta Radio Theater broadcast a live performance of H.P. Lovecraft’s Call of Cthulhu from the con. In almost every respect, the show was a smash. And so it was for the next two years. The mix of gaming, science fiction and rock ‘n’ roll kept fans coming back. By 1989, helped by the addition of fantasy literature and Guest of Honor Anne McCaffery, Dragon Con’s attendance reached 2,400; double that of the first show. The next year, 1990, would be something of a breakout year. 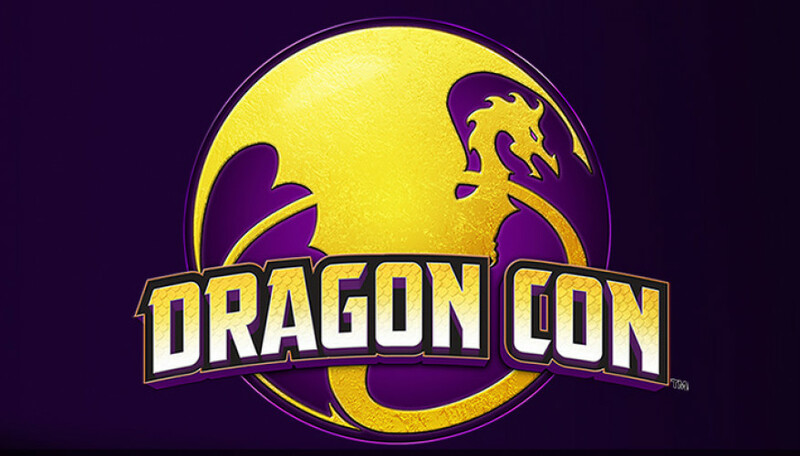 Dragon Con had been selected to host Origins Game Fair ’90, one of the largest gaming shows in the country. Back then, Origins moved from city to city but had never been held in Atlanta. Dragon Con ’90 was also the year they opened Atlanta Comics Expo, or ACE, bringing an entirely new aspect to the convention. Expecting a much larger attendance, pushed up by Origins, the comics expo, and an unbelievable line up of guests headlined by novelist Tom Clancy and comic artist Todd McFarlane, Dragon Con moved to the Atlanta Hilton and Towers, which would become Dragon Con’s home for the next seven years. In fact, attendance doubled again, to 4,800 people. Dragon Con was on a roll. Attendance was growing, and the ambition of becoming the convention that offered something for everyone was coming together.